The cross-platform toolkit readily taking over the application development, winning the trust of the developer's community. This application development really owes some of the wonderful features including reusable blocks of UI, reactive performance, multiple platform code usability and etc - making it highly recommendable. 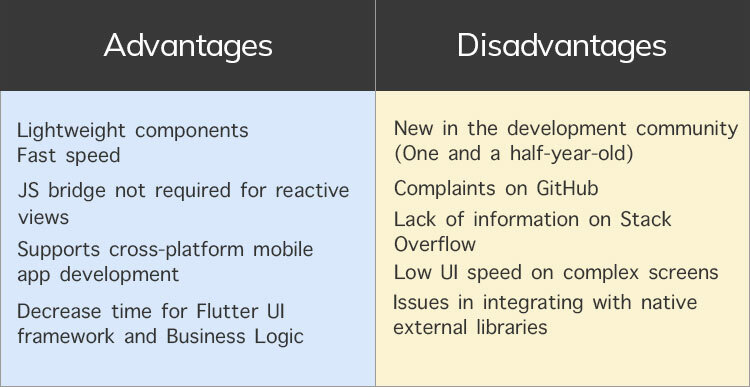 And when it comes to Cross-Platform Application Development - Flutter, powered by Google is on the gaining ground. The open source development framework for building native interfaces on Android and iOS. With Flutter’s Hot Reload, without recompiling the app the developers can preview code changes in the emulator, simulators, or hardware for Android or iOS. This empowers developers to experiment with the code quite easily, build UIs, add features, and fix bugs faster. Flutter offers a number of isolated, independent, and reusable blocks of UI for application development, which enables complex app's building and comprehensive UI. Flutter also provide Material Design and Cupertino (iOS-flavor) widgets aiming to build these UI blocks, with flexible APIs for 2D, animation, gestures, effects, and more. Flutter uses neither WebView nor the OEM widgets that shipped with the device, which differentiate it from other development frameworks. Apart from this, the framework utilizes its own high-performance rendering engine to draw widgets. The app built using flutter is a wholesale marketplace targetted for global trade. Alibaba.com app concedes users to buy merchandises from suppliers around the world, all from the comfort of a mobile app. The Google Ads app facilitates users to observe campaign stats on Android smartphone. It showcases operations specifications like real-time alerts and information (notifications) allowing Google calling. A journal and mindfulness app - Reflectly - inspired by Artificial Intelligence built using Flutter. It allows users to build stories in the personal journal, offers a unique set of questions every day, unhitches superior statistics and personal, actionable insights and etc. The beauty of the applies to the fact that all wrapped into a beautiful interface. Hamilton - the official app of the hit Broadway musical, is developed using Flutter mobile app SDK and highly praised. The app offers daily lotteries, latest news, a trivia game, a merchandise store, and furthermore. The app aimed at extending the user experience and let them enjoy the show. The AppTree proposes a platform for brands like Stanford, McDonald's, & Fermilab to execute business. It let them use common business app functions such as data gathering, inspections, labor insertion, audits, and workflow with present enterprise software data. NOW Live is Tencent’s video streaming service - holding tens of millions of MAU. The app is built on Flutter SDK, and allow the user to come across many people and continue a conversation of choice. Furthermore, in order to add more fun to it, the user can avail benefits like online games, outdoor activities, celebrity videos, and much more. 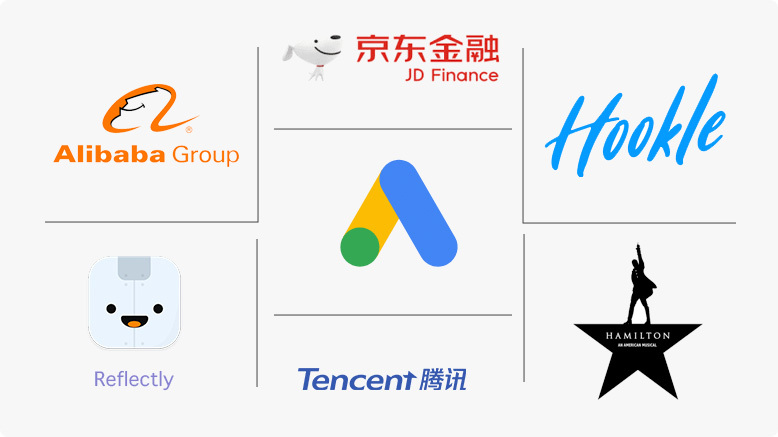 JD Finance - a leading digital technology company. The is developed using Flutter framework and covers various services like fintech, digital enterprise, and urban computing. This app helps to maintain the cryptocurrency venture portfolio. Bitfolio is crafted to accomplish investments and track the cryptocoins like Bitcoin, Ethereum, and Litecoin. Also, it enables the user with the newest coin prices and market charts for smart investment in crypto. Flutter just got into the app development industry and already started to set its popularity offering numeeous.No Doubt, the future seems to be bright for Flutter. Initially, Google also launched Flutter Beta 3 with additional exciting features and functions, making it even more powerful and robust than the previous version. 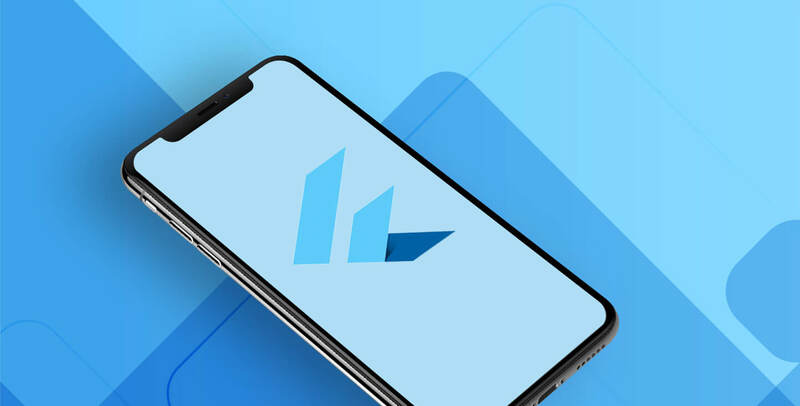 As we know, Flutter has a lot of potentials to offer in the respective mobile app development industry which is strengthing quality and productivity concurrently. Soon, it is expected to take over the app development world. However, Flutter is still in the development phase, which might be a risk. Google does not delay in launching a stable version of the framework, so there's no minus in implementing this framework. For more information on Flutter - check the official website. In this blog, we have come across the perks of flutter and how this potential Mobile App Development adds successful execution to the apps. It is compatible with mobile app development irrespective to any scale, idea, category and content type. We at Root Info Solutions - certified Google Agency specialized in flutter application development with the successful launch of "Amployee" - an engaging employee advocacy platform. Fill in the form to get started with Mobile App Development using Flutter.